The work never stops at Wooter Apparel as we bring you the latest news and updates from around Wooter, featuring Haron “H20” Hargrave, Aquille Carr, and the Wolverines football squad from Aliso Niguel High School in California. A lot has changed since Wooter Apparel first launched as a Staten Island sports tech start-up in 2014, but one of the many consistent bright spots has been the chance to share some of the success stories going on around sports through the people, teams, leagues, and organizations that rock the customized gear from Wooter Apparel. It’s those same stories that have helped Wooter build and grow a brand rooted in community — from New York, to flourishing in a global market, all while embracing a company-wide approach to giving back. No Days Off: Join Haron “H20” Hargrave of Ballin 4 Peace as he takes to the floor to compete in the New York Knicks alumni charity basketball game going down on Sunday, September 30 at 2pm at Harry S. Truman High School in the Bronx. It’s been a busy 2018 for Haron Hargrave and his work with his non-profit organization, Ballin 4 Peace. The Queens native and former Sacramento State University standout point guard has partnered with Wooter Apparel for both his Ballin 4 Peace Charity Basketball Game and most recently, Hargrave organized a successful Ballin 4 Peace Celebrity Flag Football Game with proceeds going to raise support for a “Back to School” drive benefitting inner city youth around New York. Now the man dubbed “H20” is set to get back on the court, this time playing in the upcoming New York Knicks alumni benefit basketball game on Sunday, September 30 at 2pm at Harry S. Truman High School in the Bronx. Before Haron goes up against former Knicks like John Starks, Latrell Sprewell, and Larry Johnson, make sure to donate to his fundraiser page and help give back with Haron Hargrave and the New York Knicks. From the Brunson League to the G-League, Aquille Carr shined back on the courts of Baltimore this past summer before looking ahead to his recent tryout with the Washington Wizards G-League affiliate, the Capital City Go-Go. This basketball story really has come full circle in a number of ways. About five years ago while living in Europe and covering international basketball, one of the prominent stories at the time was about this ultra-talented kid out of Baltimore known as “Crimestopper” and his plans to jump overseas to play professionally. Headlines were nothing new for Aquille Carr. He made them as a freshman at Patterson Highand and in 2010 after averaging 32 points, six assists and five rebounds to lead Patterson (25-2) to Baltimore City and Class 4A North region titles and a trip to the state title game. The following year, Carr was named the Baltimore Sun All-Metro boys basketball Player of the Year, the same year ESPN chose him as the 2011 High School Basketball Player of the Year. Two years later, Carr was officially a professional — a journey that has spanned these last five years including stops in the NBA G-League, Canada, and most recently another G-League opportunity with the Washington Wizards G-League affiliate the Capital City Go-Go. Yet what’s most refreshing about Carr’s story is how has kept his Baltimore and Brunson League roots alive. We can respect that, especially when Aquille Carr takes time to represent with some of his own fresh Wooter Apparel prior to his G-League workout! Each year Wooter Apparel works with a number of high school football teams around the US to customize their gear for the season. 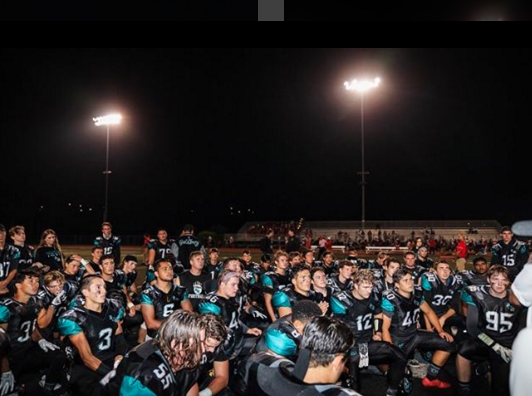 This year we are proud to cheer on Aliso Niguel High School in Aliso Viejo, California, with the Wolverines donning the teal and black from Wooter Apparel this Fall. 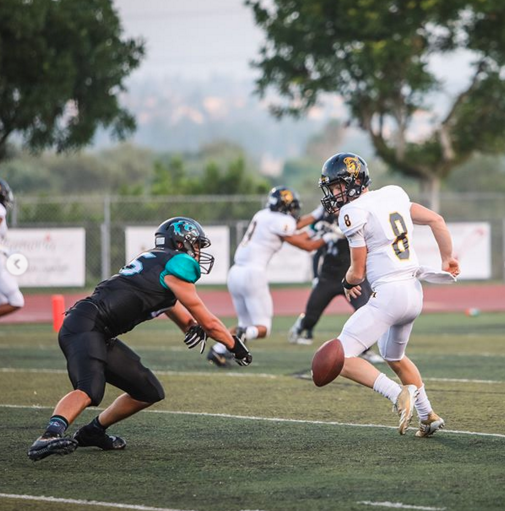 When Aliso Niguel High School takes the football field on Friday nights this season, the Wolverines will be donning their prominent teal and black school colors with a little extra pride thanks to the customized uniforms from Wooter Apparel. Look good, play good. The shine is paying off for head coach Kurt Westling as the Wolverines jump out to an early 6-0 record this season for the school tucked away in the San Joaquin Hills of southern Orange County, California. The Wolverines most recent win (complete with game photos) came in thrilling fashion as the then No. 19th ranked Aliso Niguel defeated No. 25th ranked Pacifica by erasing a 15-point third-quarter deficit and pulled away for a 41-28 victory at Aliso Niguel High. Way to work Wolverines!